Our smallest room offers an intimate and holding space for 1-1 work. Our largest room is ideal for group work (8-10), as well as for 1-1 sessions. Room 2 has space for creativity, play and movement. There is a large sand tray as well as bean bags, cloths, drawing pads and pencils and other creative resources. Here room 2 is laid out ready for group work. 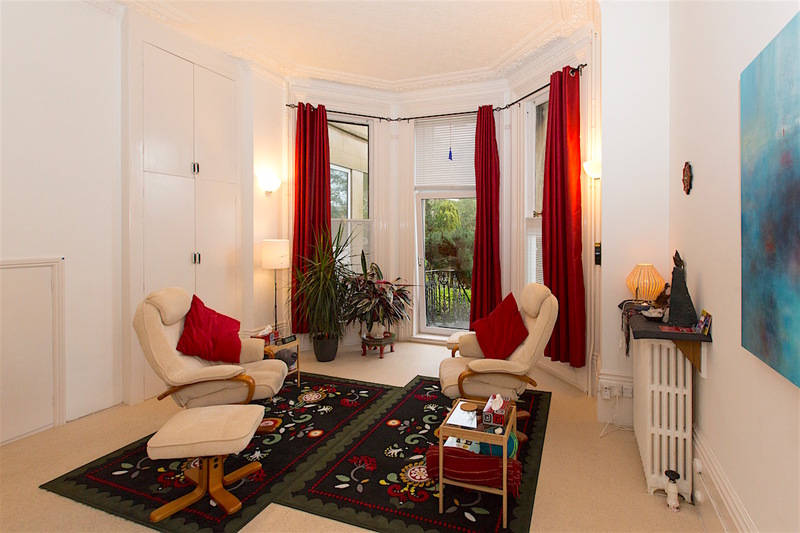 A lovely light, airy room with comfortable armchairs, a desk and a view of the garden. For complimentary therapists there is also a basin with running water. A large, bright room with bay windows opening onto the beautiful garden; with 2 reclining swivel armchairs with footstools and extra chairs available for couples or small groups. A comfortable space for your clients to sit before or after a session. With tea / coffee making facilities, a fridge and cutlery / crockery for shared lunches on workshop days. A selection of inspiring and informative books. 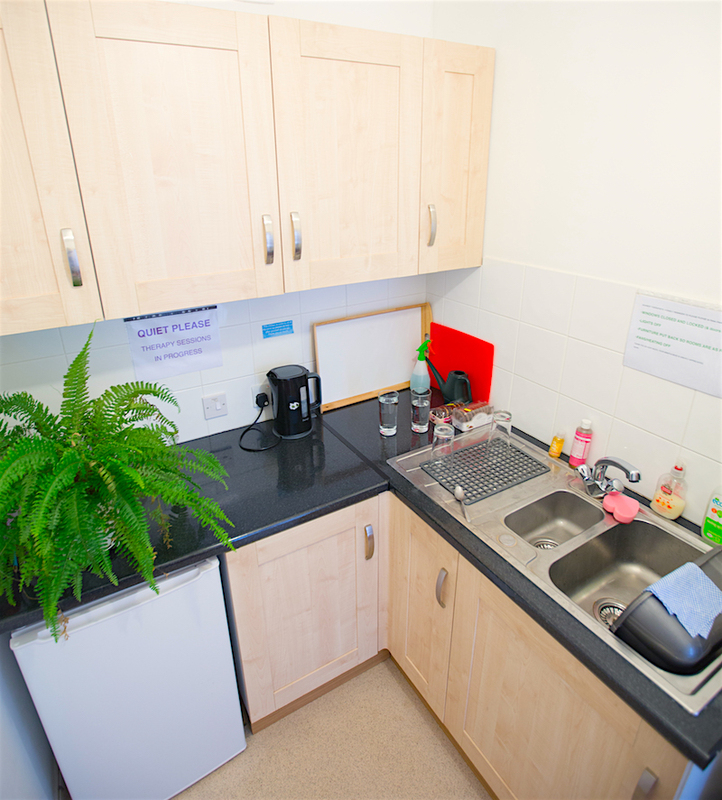 Kitchen with tea / coffee making facilities, a fridge and cutlery / crockery for shared lunches on workshop days. Year round availability 8am – 10pm. If you are running groups or holding a workshop for 8 – 10 participants our largest room is perfect for your needs. If you want ‘break out’ rooms it’s possible to book the whole clinic at weekends. We can also help advertise your workshop by putting it on our website. We require a minimum of 3 hrs room bookings per week (or 13 hours per calendar month). • Large room plus two smaller rooms for groups needing extra spaces throughout the day: £170 per day (weekends 9am – 6pm). Insurance and qualifications required following an informal chat. There are various ways to connect with other therapists working from the clinic, including regular community events, CPD workshops and a private online forum. The Wilbury Clinic is a very special place to work from. The rooms are beautiful and the entire clinic has a very peaceful and healing atmosphere. There’s also a great supportive community created by all the therapists who work at the clinic. Thank you Vajralila and Sudakini for doing such a fantastic job at running the clinic. Working at the Wilbury Clinic is a pleasure. 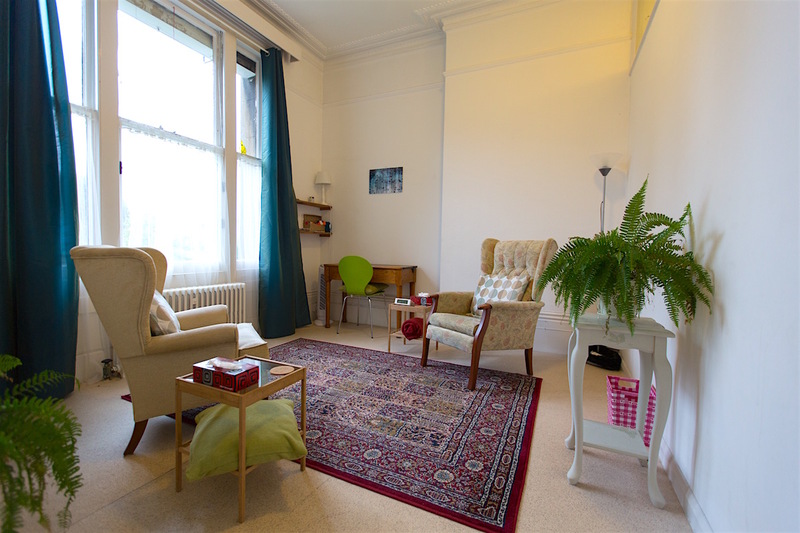 The whole place feels so welcoming, and the counselling rooms are really attractive, light, airy and comfortable. My clients often comment that while the clinic is open and bright it also offers them a high degree of privacy. I am enjoying being part of a growing community of professional and ethically committed counsellors and therapists who take a holistic view of their clients. It’s good to know that my clients can benefit from a referral within the clinic or from the complementary therapies available. 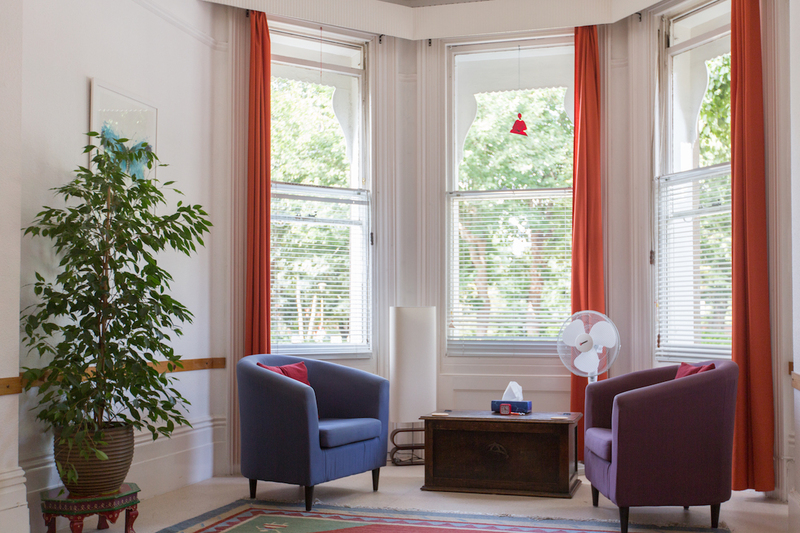 As a therapist I couldn’t ask for more, the location is excellent, the rooms are beautiful and beautifully kept – and there’s a great supportive community if therapists who really care about their work, I feel very blessed to be part of the clinic. 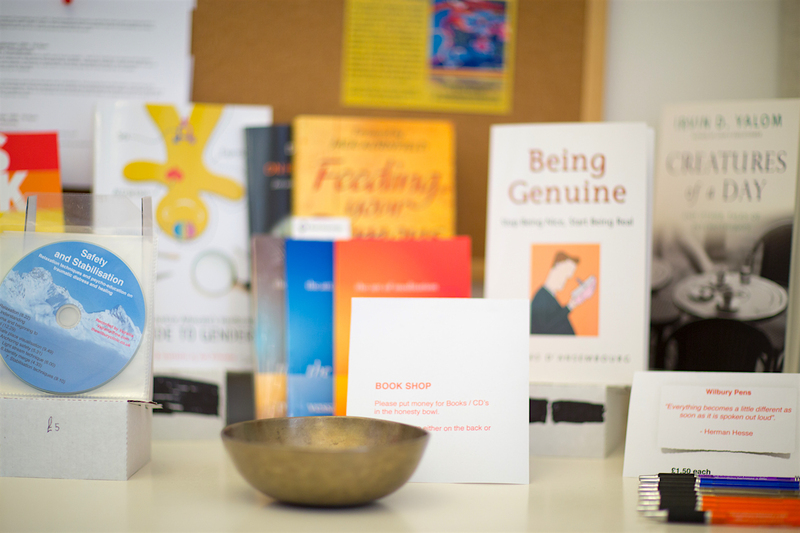 A safe and peaceful space with caring people to share your journey of self knowledge with. I thoroughly enjoy working at the Wilbury Clinic. 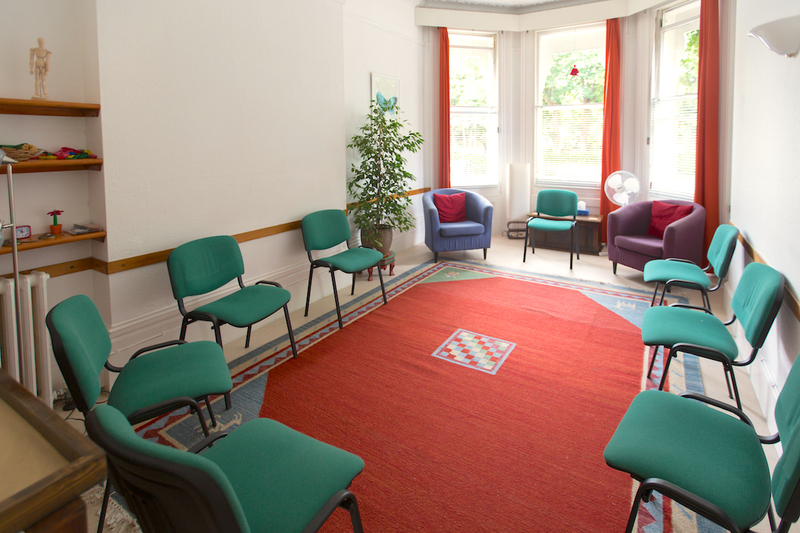 It provides a peaceful and welcoming space to support clients in creating positive change in their lives”. Sarah Lang, EFT Practitioner, Intrepid Health. I was lucky enough to start my private practice at the Wilbury Clinic. It’s a beautiful, calm space, clearly loved and gently held by Sudakini and Vajralila. As practitioners themselves, they understand the needs of therapists and clients really well and have worked very hard to keep evolving the space and how its used in every detail, from the choice of furniture to the books and courses on offer. The result is a set of rooms which are warm and inviting healing spaces in which both I and my clients have felt very safe and supported. The Clinic is a space I both have looked forward to working in everyday and felt grateful to have been part of. I really appreciate being able to begin my counselling work at your lovely clinic, and it’s been the perfect first step. I’ve always felt proud meeting and welcoming my clients into the space you’ve created and that is no small thing. I hope I can create a similarly lovely space for myself going forward. I’ve also appreciated the light touch and warmth you’ve both had in dealing with me over the time, which again is no small thing in a place of work. The clinic… has been a home for me for the last 3/4 years. Thank you so much for welcoming me into Wilbury! It has been the loveliest place I have ever worked. The Wilbury Clinic has been an excellent place for both me and my clients to work. The rooms are beautiful and well maintained and the clinic has a feeling of peacefulness and calm. It is kept clean and the décor, furnishings and plants help it to provide a wonderful space to work from. The online booking system is fair and easy to use. It enabled me to pre-book permanent slots or book ad-hoc times up to a month in advance, so as to plan ahead. A range of CPD events are put on and Wilbury therapists are offered discounts to attend these. I would recommend The Wilbury Clinic to therapists and have found Sudakini and Vajralila (who run the Clinic) extremely helpful and a joy to work with. I have been using the Wilbury clinic for my counselling practice for a few years now and can’t speak highly enough about it. As soon as you enter the building, you are met with a real sense of peace and tranquility. It is the most efficiently run clinic I’ve worked at which means that you get value for money whether you’re a client or a therapist. I’ve always felt in safe hands with the managers of the clinic and felt welcomed in to the therapist community they’ve developed and fostered. It is a truly heart-led space that I find holding and inspiring. 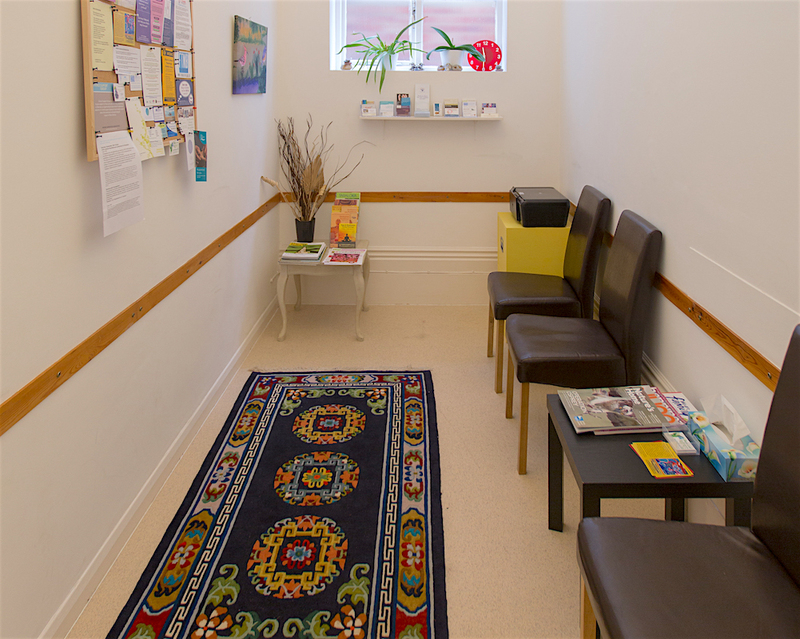 The Wilbury clinic is a positive and beautiful space for anyone in private practice. The rooms are very well equipped and decorated in a calm and warm style. The booking system is easy to use, and there is a good network developed between the other therapists to allow for making referrals to each other and sharing resources and ideas. The location is also very convenient for train and bus travel, and there is generally a good amount of relatively low cost pay and display parking outside the clinic. I have thoroughly enjoyed working at The Wilbury Clinic. 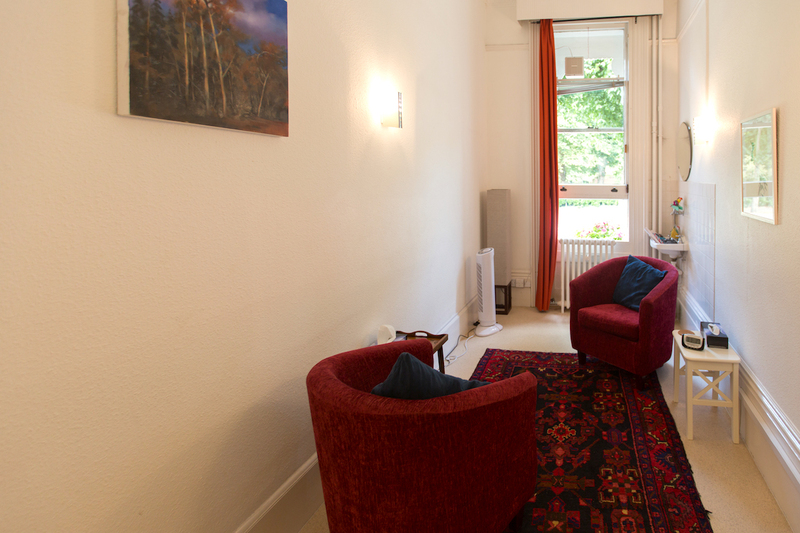 The rooms are all light, comfortable and furnished in a way which instantly makes both client and therapist feel at ease. Many clients have commented on the lovely garden view from the back rooms and how nice it is to be somewhere that feels so calm despite being so close to the centre of town. Both Vajrilila and Sudakini made me feel extremely welcome when I joined the clinic and were incredibly encouraging as my newly created private practice grew. Every therapist that I have met at The Wilbury Clinic has been lovely and they’re all very conscientious in creating a welcoming environment not only for their own clients but for all clients of the clinic. It has been a pleasure to work at The Wilbury Clinic and I will be very happy to return for training days in the future. It’s clear to see that a lot of love, care and intention has gone into making the Wilbury Clinic a great place to practice. I think Vajralila and Sudakini embody these values. I was very sad to leave. Working at the Wilbury Clinic has been a pleasure. Aside from the beautiful and comfortable rooms, the atmosphere there is calm and welcoming. I find the environment supports the therapeutic work greatly by embodying a sense of safety and care. The organisation runs smoothly thanks for to the lovely admin team. The Wilbury Clinic is also very nurturing to the Therapists. It is a welcoming community of practitioners. I absolutely enjoyed working for 3 years as an Acupuncturist at the Wilbury Clinic. Not only the room are immaculately clean, warm and tastefully decorated but also the online booking system made it very easy to organise my schedule. The Wilbury Clinic is like an oasis, and clients love the light, airy rooms and the atmosphere of calm and safety that pervades it. Sudakini is a very warm, special person who makes you feel at home immediately, and it is a lovely community of therapists to be part of. Walking into the Wilbury Clinic, there is a lovely sense of spaciousness and calm. The rooms are light and airy – and clean: a welcoming and comfortable space for client work. The room booking system is easy to use and the clinic is run in a professional, respectful and collegiate way, so that working there is a pleasure.